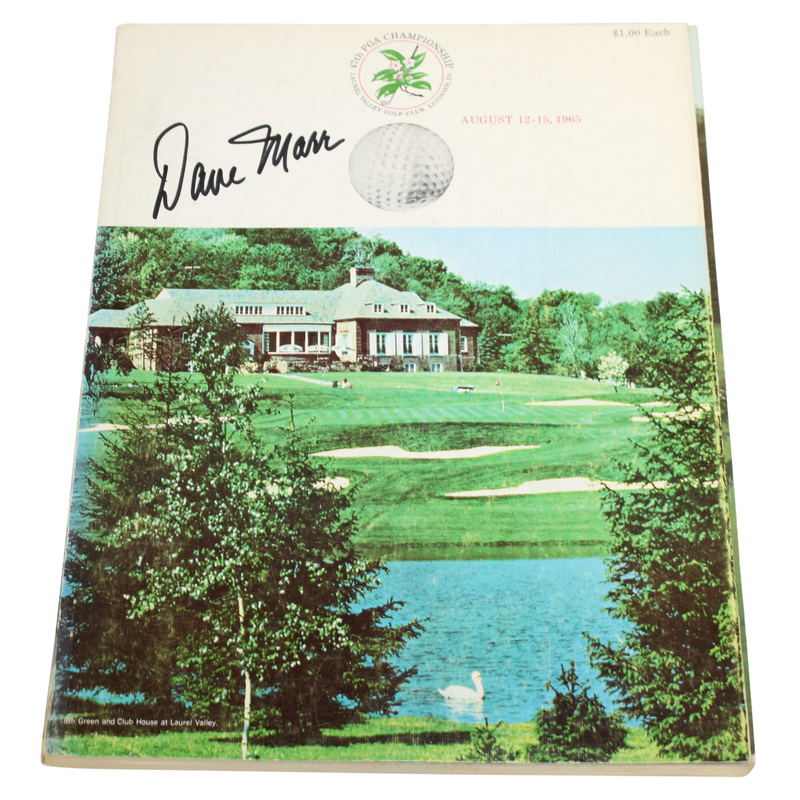 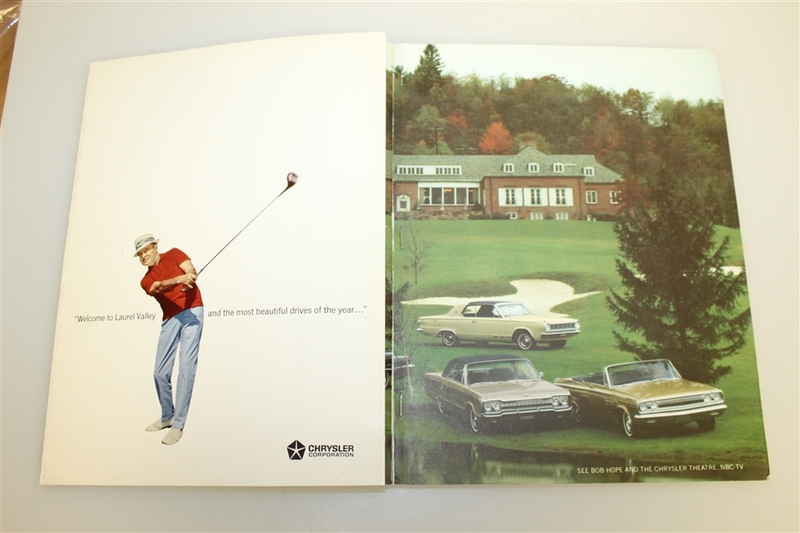 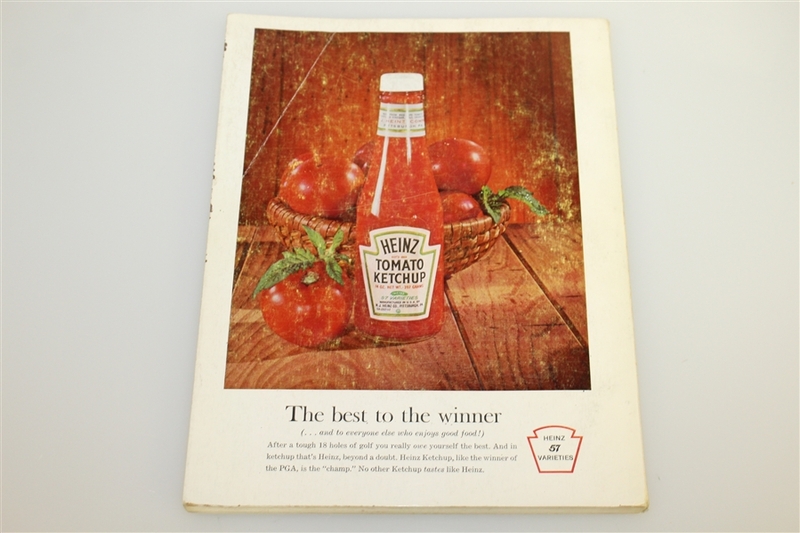 Offered here for bidders is a Dave Marr signed 1965 PGA Championship at Laurel Valley program. 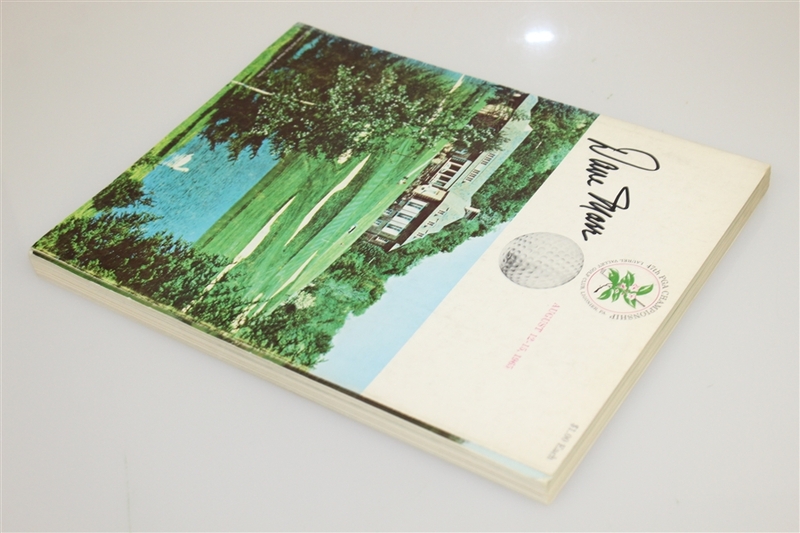 Noted for accuracy there is tape at the bottom of the spine, a crease to the top left back cover, paperloss to the left edge, and scuffs present. Please see photographs. 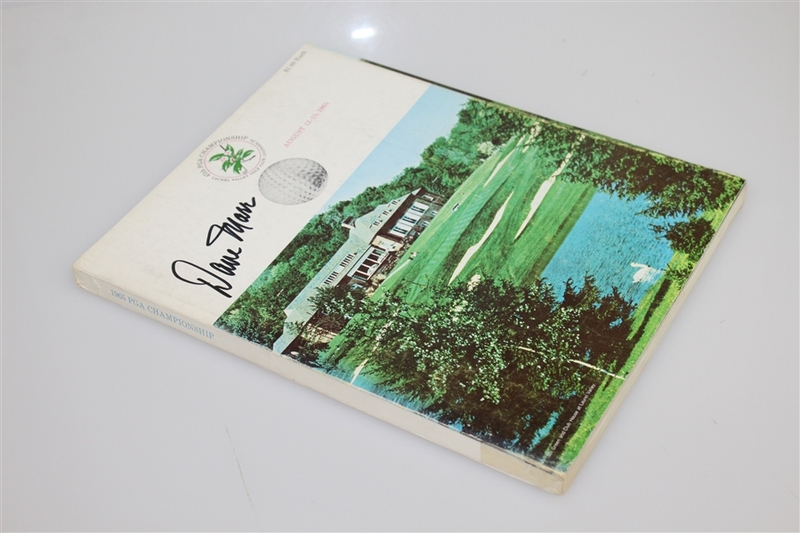 Dave Marr claimed his lone Major at Laurel Valley Golf Club, defeating Jack Nicklaus and Billy Casper by two strokes.